Very attractive extension option to Awash National Park and the fascinating holy city of Harar (UNESCO world heritage site). May be perfectly combined with a Northern- or Southern Ethiopia trip. Overnight in Awash National Park. The lodge is located at the Awash Falls with rich animal- and birdlife in the immediate surroundings. 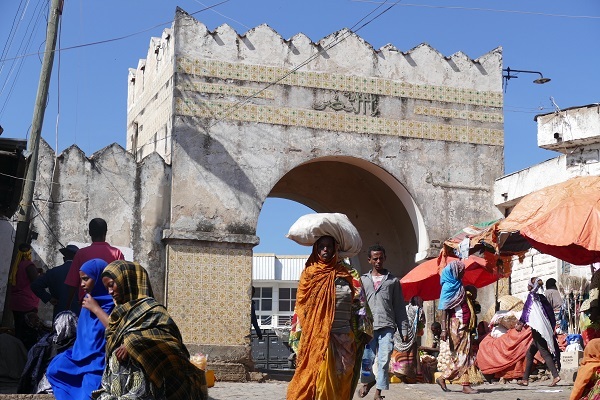 Exploring of the photogenic holy city of Harar with its city walls of the 16th century (UNESCO world heritage site). Legendary feeding of the hyena of Harar – a unique experience. After breakfast, we start our drive to the Awash National Park (approx. 4 hours). We will reach the Park Lodge spectacularly located next to the Awash Falls for lunch. Here we have the opportunity to spot a great variety of birds and mammals in the savannah as well as crocodiles living at the river. We will enjoy an impressive sunset over the Awash gorge. After our morning game drive, we depart for Harar (8 hrs), stopping at Avadai, Ethiopia’s biggest Khat market, and Dire Dawa. 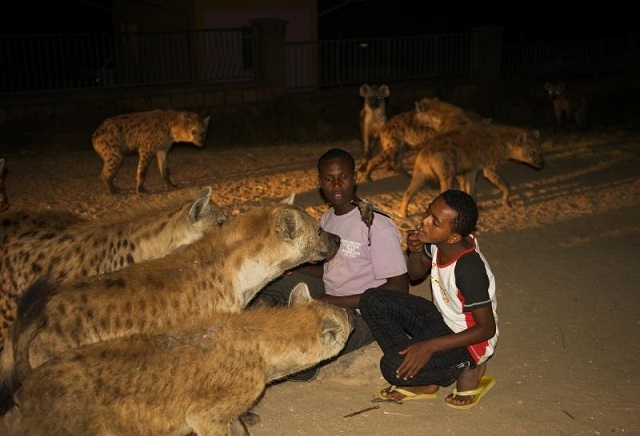 In the evening, you will see the “Hyena Man” feeding the hyenas that gather nightly outside the town. 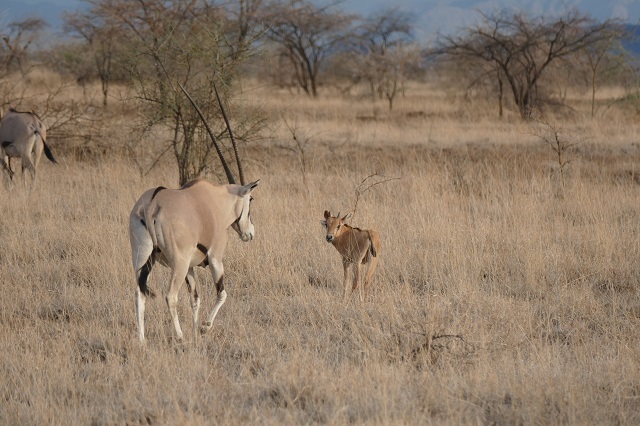 With a little courage, you may of course also feed the hyenas yourself! 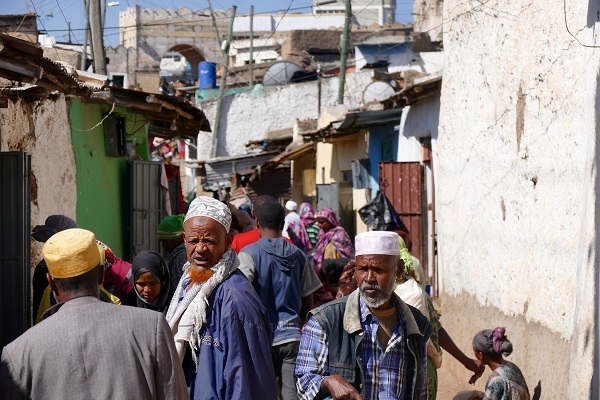 Today we discover the 16th century walled city of Harar, the fourth most important city in the Islamic World and a UNESCO world heritage site. It feels as if time has stood still here. We will visit the home of Arthur Rimbaud, the renowned French poet who lived in Harar, the National and Harari museums; the house of Ras Mekonnen (the father of Haile Selassie); traditional Harari homes, the market and many more interesting places. We take the flight at noon back to Addis. A day room will be provided. You will have time for sightseeing and/or shopping.